Mr. Carlino is a research analyst responsible for the credit analysis of leveraged loans, high yield bonds, and other credit-based securities for the Leveraged Credit team. 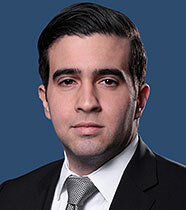 He has 4 years of experience investing across the capital structure and within the High Yield universe. Prior to joining DFG, he worked at Credit Capital LLC covering the Energy sector. He previously conducted internships at Jefferies & Co. and Northwestern Mutual Investment Services, responsible for developing financial models, valuing various credits, and writing research reports. Mr. Carlino holds a B.S. in Finance and Economics from Quinnipiac University, School of Business.